"My chemical engineering background gives clients a big technical edge in the legal context. I speak the language of environmental regulators and other experts in the field." 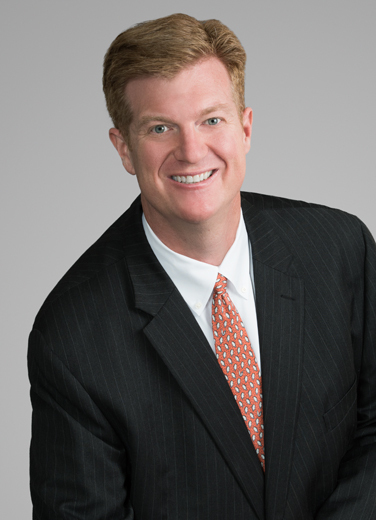 Greg Johnson is an experienced business lawyer with a long record of helping Louisiana companies with the environmental aspects of complex, large-impact transactions, litigation, and regulatory compliance issues throughout the surrounding Gulf Coast region. A significant focus of Greg's practice is representing domestic and international corporations with environmental permitting for major, high-profile industrial facility projects – such as a proposed, $20 billion gas-to-liquid facility – and with the resolution of often-controversial, high-exposure, oil and gas or energy-related disputes, such as claims in the aftermath of the Deepwater Horizon oil spill. Greg draws heavily on his real-world experience and training as a chemical engineer when he counsels clients with transactions involving technical issues, most commonly in spotting latent environmental issues with sales or purchases of industrial or manufacturing sites in the chemical, petrochemical, inorganic, and industrial sectors. During law school and prior to starting his law practice, Greg was a consulting environmental engineer concentrating on permitting, emissions estimation, reporting, modeling, and compliance issues in the oil and gas, chemical, and energy sectors. For example, as part of his representation in a large acquisition of a Louisiana industrial facility, Greg obtained the first-ever confirmation of Bona Fide Prospective Purchaser status in favor of the client, offering it as a statutory defense to federal and state cleanup liability. In addition, Greg helps companies with environmental audits, the pursuit of various environmental permits, and disclosure of enforcement issues to federal and state governmental agencies. He is the long-serving General Counsel to the International Carbon Black Association, an industry trade group comprising all of the manufacturers of carbon black in North America and Western Europe. Greg has helped the association with regulatory matters, including the negotiation of Maximum Achievable Control Technology (MACT) standards for the industry and the procurement of key Occupational Safety and Health Administration (OSHA) interpretations. In addition, Greg provides antitrust surveillance and negotiates sponsored-research contracts for the group. Greg leads the environmental regulatory practice group at Liskow & Lewis and is a past chair of the Louisiana State Bar Association’s Environmental Law Section. He is a frequent speaker, sought-after as a thought leader on energy and environmental topics. South Louisiana Methanol LP (“SLM”) in the appeal of air quality permit modifications by a group of environmental petitioners. Greg and a team of Liskow lawyers helped obtain a ruling in favor of SLM, affirming the decision of the Louisiana Department of Environmental Quality to tailor its public trust analysis for the proposed modification and to issue the modified permits. The permits authorize construction of what would be the largest methanol plant in the world. Gramercy Alumina LLC in its acquisition of the former Kaiser Aluminum & Chemical Corporation facility in Gramercy, La. As part of his representation, Greg obtained the first-ever confirmation of Bona Fide Prospective Purchaser status in favor of the company, offering it as a statutory defense to federal and state cleanup liability. Shintech and GTX, Inc., and other companies in their efforts to locate and permit industrial facilities in Louisiana. In these types of cases, Greg prepares permit documents, attends public hearings, represents clients in cases seeking judicial review of the permit decisions, and negotiates with environmental groups on behalf of the companies. A major specialty chemical company, then named Witco Corporation, in the investigation and disclosure of emissions and reporting violations, as well as the handling of subsequent related agency negotiations. Greg's efforts helped obtain a waiver by the U.S. EPA of all fines and penalties under the applicable federal regulatory programs. General Counsel to the International Carbon Black Association, an industry trade group whose members include all of the manufacturers of carbon black in North America and Western Europe. Greg's representation covers a wide range of regulatory matters, including the negotiation of Maximum Achievable Control Technology standards for the industry and the procurement of key Occupational Safety and Health Administration interpretations. In addition, he provides antitrust surveillance and negotiates sponsored research contracts for the group. Internal investigations and environmental compliance counsel for companies facing whistle-blower allegations, potential fraud, and white-collar criminal conduct charges. A wide variety of corporations value Greg's practical, business-oriented perspective with complex air, water, and hazardous waste regulatory issues, Louisiana constitutional environmental law issues and other public-policy and environmental justice issues. "Constitutional Environmental Protection in Louisiana: Losing the Reason in the Rule of Reasonableness," 42 Loy. L. Rev. 97 (1996). Greg is the father of triplets, who account for "110% of my free time." Nevertheless, he has found a way to blend his interest in youth sports and photography into parenthood. Greg also gets a lot of personal satisfaction out of his civic and professional involvement and community leadership.